Developers of renewable energy projects in Australia complain of confusion and uncertainty after yet another change by the Australian Energy Market Operator in its calculations of so-called marginal loss factors, which can make or break an energy project. The marginal loss factors calculated by AEMO and announced yearly are crucial because they decide how much of a generator plant’s output will be credited by the market. An MLF of 1.0 is good, but many wind and solar plants have had their ratings slashed to as low 0.72, meaning they only get money for 72 per cent of their output. As RenewEconomy revealed in March, the revision of MLFs for many wind and solar plants for the 2019/20 financial year caught many by surprise, because many developers simply have no insight into the number of other projects that may be planned for that part of the grid. AEMO said at the time that it would deliver its final assessment in April. But now it appears it has conceded that errors were made, an updated draft has been released and the final decisions will now not be made until May 10. “Since publishing the draft 2019-20 Marginal Loss Factors (MLFs) on March 8, AEMO has received substantial and credible information on the status of several committed projects which does not align with the information that AEMO had taken into account when determining the draft loss factors,” it says on its website, in a post apparently published in early April. It appears that some proponents of yet to be registered projects had submitted erroneous generation forecasts for 2019/2020, and may have been over-optimistic about the timing and speed of commissioning. AEMO has now asked all of these new proponents to re-send their 12 month generation traces to more accurately represent what their project will generate in 2019/2020. AEMO said it will recalculate the MLFs “using the updated information recently provided to it” as well as sourcing additional information relating to committed projects. The key element of MLFs is the nature of the grid, and whether it is “congested” or if there are large loads in the area. “AEMO considers the benefit of improving the accuracy of the MLFs, in providing better signals on the value of investment in electricity supply, outweighs the inconvenience of delaying final publication,” it said. The chief beneficiaries of these interim revisions appear to be the Silverton wind farm in Broken Hill (up four per cent to 83.84, but still well below last year’s 1.006), and the nearby Broken Hill solar Farm (up 2 per cent to 74.64). Both are owned by AGL’s renewables fund. 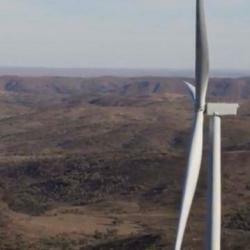 Others to be get important upward revisions upward were Neoen’s Parkes solar farm (up nearly 7 per cent to 98.40), the Kiata wind farm in Victoria (up three per cent to 89.43), and the Challicum Hills wind farm (up two per cent to 91.3). Most wind and solar projects had their MLFs upgraded slightly, albeit by less than one per cent, while the new Gannawarra battery in Victoria had its “load” or charging function upgraded by nearly two per cent to 1.0207. Several projects had minor downgrades. The uncertainty, however, is causing anger and frustration in the renewable energy market. Some analysts have said that the situation reflects poor planning, and the huge variation from year to year means that investment decisions are harder to make and finance more difficult to obtain. Many project developers contacted by RenewEconomy said existing projects faced new equity calls, or changes to bank finance because of the added risk. This would make the economics of the projects more difficult, compounding the reduction in revenue from the change in MLFs. AEMO has said it is looking at alternative measures, such as introducing “dynamic” measurements which would allocate MLFs depending on the time of day energy was produced and what else was generating at the time in the local area. Tesla has pushed for more consideration of battery storage as a means to deal with the MLF problem, but this would only work with “dynamic” calculations.